Irizar is to supply 10 12m ie electric buses to Rheinbahn in Düsseldorf, Germany. It was one of the biggest tenders for electric buses in Germany in the last 12 months, says the manufacturer, and delivery will start late this year and run through the first quarter of 2020. Irizar says the buses will be a new generation of model that’s been operating in several cities since 2014 and will be presented to the market at the end of this year. It includes new innovations in technology and design among which are a 10% weight reduction and an improvement in passenger capacity. The buses will be two-door, 34-seaters with space for three wheelchairs and the ability to carry up to 74 passengers. Recharging will take place at night using inter-operable chargers with Combo 2-CCS 300kWh charging outlets. Range will be between 200 and 220km. Rheinbahn operates more than 737 including buses and trams that move 760,000 passengers every day. 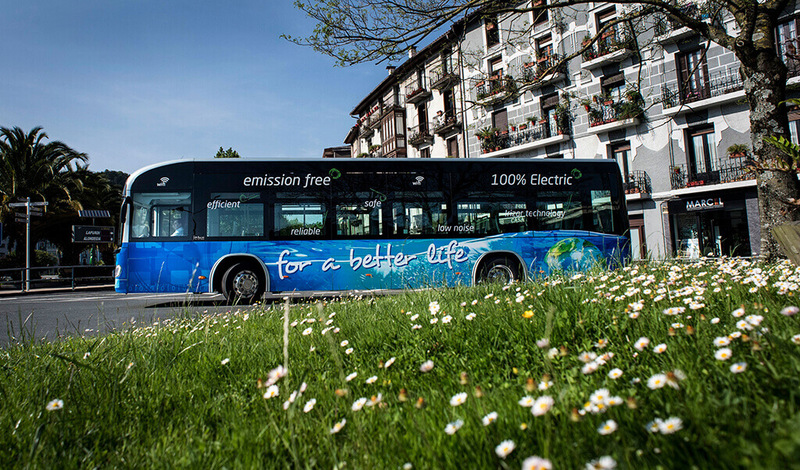 Irizar e-mobility provides sales and post-sales services for electric buses and charging infrastructure in the German, Austrian and Swiss markets though Ferrostaal Equipment Solutions.